This picture makes more sense after reading the article. I disagree with the assumption that Christians need to justify their belief in God as a hypothetical posit that’s supposed to explain some feature of their experience. Certainly one could argue for God in this way, but it’s not the usual way Christians think about God. From the Christian perspective, God is not a hypothesis; rather, he’s a lived reality. We can’t help but wonder, if God is not a facet of experience but he is a lived reality, then what is a lived reality if not an experience of reality? And if you cannot derive a hypothesis about that reality from experience, then how can you be sure it’s reality that you are experiencing and not, for example, a hallucination or a delusion? I think Randal is doing a bit of special pleading here. After all, why is it that the Christian reality is the only one worth considering? What about the Hindu, Muslim, and Buddhist realities? What about all of the other world religions and their respective realities? If atheists really want to understand Christians, they need to get over the assumption that the only way to have reasonable beliefs or knowledge of God is by way of hypothesis inference. I feel that I must address a couple of things here. 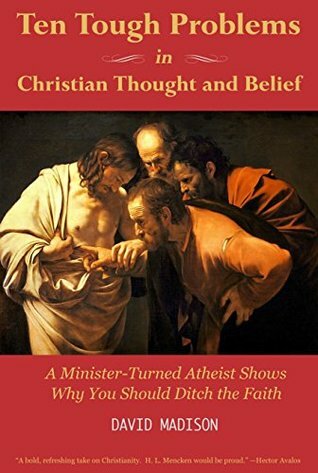 First, it seems Randal is making a horribly bad assumption when he thinks atheists do not, or cannot, understand Christians or Christian thinking. Case in point, I was a devout Christian for three decades. Even though I am no longer a Christian, it doesn’t automatically mean that every experience I had was meaningless or that I forgot everything I learned when I was a believer. I simply have had a change of mind, but that doesn’t make me in any way naïve of my past thirty years of Christian belief. 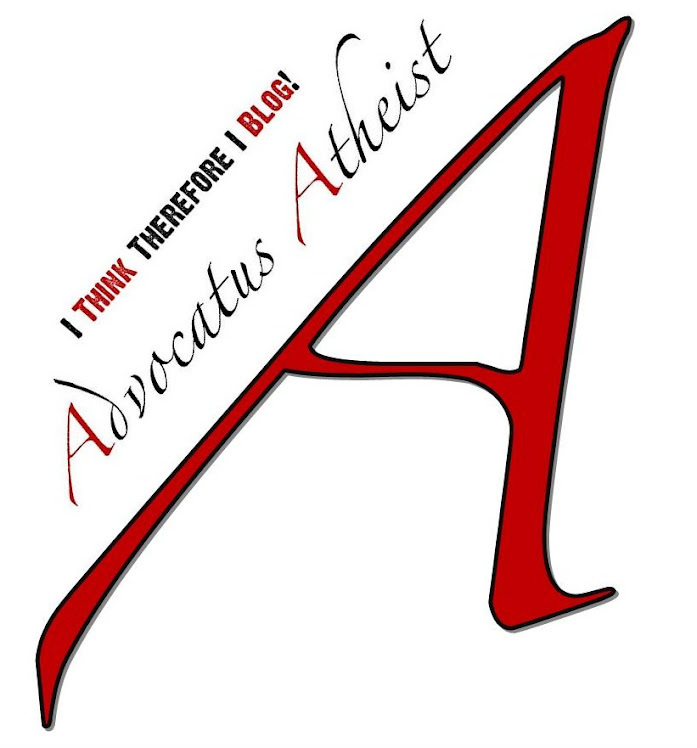 I know many atheists who have come out of religion like I did and are more than familiar with the religious modes of thinking. In fact, my previous book anthology Beyond an Absence of Faith focused on this very subject, so I think I am pretty well-versed on atheists’ views with respect to religion. And I have found that atheists believe a wide array of things. It is my opinion, however, that this religious familiarity which some atheists have has more often than not soured them on religion and not for a lack of knowing what religion teaches or what the religious believe, but in spite of it all. Many atheists leave religion behind because they know it all too well. Think about that and let that sink in. Of course, the opposite case cannot be made with respect to Christians understanding atheism. Apparently, not many Christians seem to be able to bring themselves to understand how someone could lose faith in what they hold to be a veritable truth and will often play the ‘No True Scotsman’ fallacy card. But this just goes to underscore the problem, mainly that many atheists—especially those who came out of religious faith like I did—understand Christianity a whole lot better than many believers seem to. Otherwise, why appeal to the fallacy that ex-Christians, ex-Muslims, ex-Jews and other apostates who left the faith and turned atheist cannot possibly comprehend the religious mindset? The second issue I have with Randal’s assessment is that if one does not come to reasonable belief about God through inference, then how does one come to it? I honestly would like to know. It seems if you eliminate inference as a way to know God either directly or indirectly from religious experience, then you’d only be left with the sheer assertion that God is a lived reality. This is why I say Randal’s reasoning here is confused. You cannot argue for the reasonableness of belief in God by merely asserting it is reasonable to believe in God. Besides this, what is this assertion based on if not the inference that God is real? Randal asks why Sheridan thinks it’s impossible for God to talk to people. The two of them argue for a bit. Randal then mentions God can speak through events, i.e. by giving us signs, and that pretty much fits with Christian conviction as well. 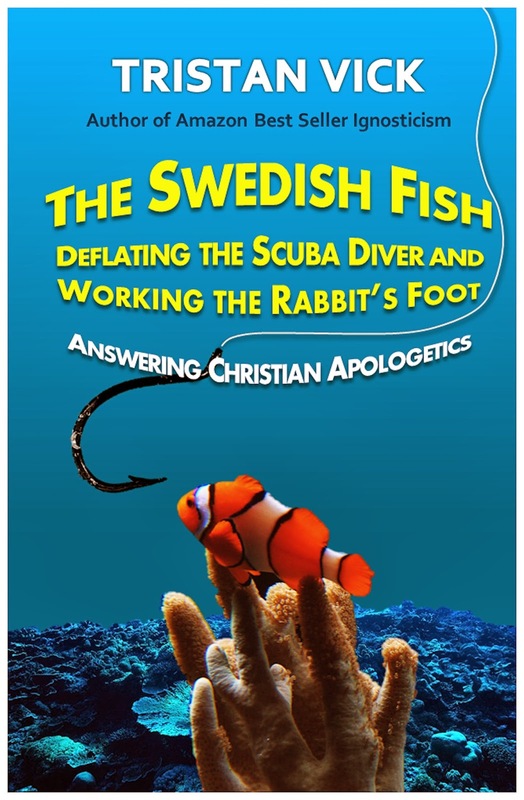 Nothing really interesting was covered here other than rehashing Christian beliefs, so we’ll skip ahead. Christians can come to have a properly basic knowledge of God in much the way that we gain knowledge through other avenues such as sense perception, reason and testimony. I would contend that basic Christian beliefs like ‘God loves me’ and ‘God was in Christ reconciling the world to himself’ are properly basic. Notice that if you merely presuppose God is a reality and, in addition to this, you presuppose that God is a loving God, and then presuppose that God is a personal God, then it’s perfectly easy to come to the conclusion that ‘God loves me’ is a properly basic belief. But this amounts to smoke and mirrors and doesn’t constitute any real argument for the existence of said God. Nor is it properly basic, since in order to presuppose God is loving you have to presuppose God is a personal entity capable of love on top of presupposing this loving entity’s existence. In other words, the belief in a loving God breaks down to prior beliefs about God which must all be presupposed before you can get to the belief involving a loving God. Needless to say, it appears that Randal, being a Foundationalist of sorts, has in mind Plantinga’s ‘warrant’ to believe here. But Plantinga’s argument suffers, basically, for the same reasons. The truth of theism and its positive epistemic status creates a burden of proof for the theist of having to show that theistic belief is externally rational or warranted and requires reasons for supposing that theism is true in the first place. At least, this is the objection to Plantinga’s ‘warrant’ to believe as I understand it. Of course, being a layman and not a professional philosopher, I could be mistaken. I always welcome corrections where needed. Hypothetically speaking, I bet I could get the actress Karen Gillan (most recognizable for her role as Amy Pond on the hit sci-fi series Doctor Who) to fall madly in love with me if I had just one date with her. Now, such a hypothesis requires testing and discussion before we completely dismiss or accept it. But short of Karen Gillan actually agreeing to go on a date with me, this hypothesis is merely conjectural. Which is why I said, “hypothetically speaking” in the first place. Right away Randal runs into a big problem by rejecting God as a hypothesis, because he’s saying such a proposition of God’s reality and the belief in this reality doesn’t require testing and discussion. You don’t even need to be able to intuit God from experience, according to Randal. You just have to accept God as a brute fact, and you have to accept that knowing this brute fact is also a brute fact. This circular reasoning amounts to a kind of mental masturbation, where God is always more than just the hypothetical because you believe it is so. Massaging away doubt never felt so good! Even so, this clearly cannot constitute any kind of reasonable belief. It would be like me stating that Karen Gillan really is madly in love with me because I choose to believe it. It’s not rational, it’s delusional. So, you see, my claim that “Karen Gillan loves me” still requires testing and discussion and so can be no more than a hypothesis. As heartbroken as I am having to admit the fact that Karen Gillan probably does not love me, let alone ever heard of me, I am much relieved by the fact that it is my properly basic belief that Jennifer Lawrence is simply wild over me. Okay, so it doesn’t work like that. But if it doesn’t work like that for me, it certainly doesn’t work like that for Randal Rauser and his so-called properly basic belief that “God loves me” either. Furthermore, clinical sensory deprivation experiments have shown how even the lack of sleep will greatly impact our ability to make good sense of things. Our minds can often play tricks on us even when our senses are working properly. Have you ever seen a mirage? How about a larger than life moon hovering on the horizon? A sun split into its twin by a timely placed cloud? Have you ever heard an audible voice but nobody was around? Have you ever been startled by the shadow of a tree or other inanimate object? Have you ever felt you were being followed but it turned out to be nothing? Have you ever jolted yourself awake because you dreamed you were falling? Have you ever experienced the odd sensation of déjà vu? Have you ever felt the infamous phantom phone vibration in your pocket? A person is warranted in accepting basic beliefs about God just as they accept basic beliefs about the natural world. How so? How is accepting the natural world we know exists anything like accepting beliefs about a supernatural world which we do not know exists? I posit that the belief that “God loves me” is an illusion of truth, akin to holding a properly basic conviction, not a properly basic belief. Beliefs relate to the world we experience. The color orange is a color we experience when we look at something that appears orangely to us. Belief that God loves me may not be an actual experience; rather, it may prove to be little more than a conviction of pious imagining. Now what do I mean by an illusion of truth? A reliable way to make people believe in falsehoods is frequent repetition, because familiarity is not easily distinguished from truth. Authoritarian institutions and marketers have always known this fact … The familiarity of one phrase in the statement sufficed to make the whole statement feel familiar, and therefore true. How much does this reflect religion? The ritualistic paying lip service to God, the volley of amens said to religious sounding truths, the repetitive quoting of chapter and verse, the frequency of worship, prayers at the dinner table, before bed, or whenever someone is experiencing a hardship; all of this reinforces the feeling that the beliefs of this sort are true. On the surface, the notion that belief in God is properly basic is a belief that appears true, but I would contend that it is just an illusion of truth reinforced by the repetitiveness of Christian ritual and tradition. Unless we just choose to ignore this information, the question becomes: how would a Christian know for certain whether his or her belief in God was properly basic or else an illusion of truth? In the case of a loving God, where does this loving attribute come from? Why does this belief exist? Well, clearly it comes from Holy Scripture. Now we have to just believe in the reliability of Holy Scripture as well. But when I believe in orange appearing orangely, I don’t need to defer to ostensible attributes of orange or the reliability of color wheels. So much for belief in God being properly basic. Again, we find a desire to establish a warrant to believe, or as I like to call it: a free lunch. It’s an excuse to say faith trumps reason by saying blind faith is reasonable. Randal quote-mines the philosopher Colin McGinn, taking his allegorical comment that “the abstract world is revealed to us by miraculous methods” to mean there is a parallel between knowing something by reason and a divine source. Reason is as miraculous as divine revelation. So here’s the problem. If you reject the idea that we can perceive truths about God because such perception is mysterious, then you likewise must reject the deliverances of rational intuition like seven plus five equals twelve and sense perception like ‘I see a red apple’ because these basic modes of knowledge are also mysterious. Never mind the fact that Randal has completely mistaken McGinn’s allegory to mean something else entirely, I feel Randal is presuming to know far too much about an area of cognitive science than is possible for a person of his credentials (a theology professor does not a neuroscientist make). Sense perception and cognition are all a part of brain science and human physiology, everything from neurology to the theory of mind, and so we’d best read a real cognitive scientist’s opinion on perception and cognition; such as Daniel Dennett’s book Consciousness Explained or David L. Chalmers The Conscious Mind, or even Colin McGinn’s own book The Mysterious Flame: Conscious Minds in a Material World just to name a few. The properties of minds, let alone conscious minds, appear to be so radically different from those of visible living matter that thoughtful folk wonder how one process (conscious minds working) meshes with the other process (physical cells living together in aggregates called tissues) … There is indeed a self, but it is a process, not a thing, and the process is present at all times when we are presumed to be conscious. Reason, like cognition, may simply be a process of higher order brain functions. The emergent features of reason or consciousness certainly seem miraculous to us, and as miraculous as such emergent features are, they are still part of a living biological system. Divine revelation, if there is such a thing, wouldn’t be part of any system currently understood by humans. Such a thing would be wholly foreign to us and most assuredly mysterious. But it would still be part of an external system nonetheless, one which we would need to be capable of making sense of; otherwise the divine revelation would have no meaning to us, regardless of where it comes from. The problem is that divine revelation seems to be, as Randal states, a miraculous sort of thing. Therefore anyone and everyone who claims to believe in miracles can also claim to be the recipient of divine revelation. But if such revelations are no different from everyday subjective experience, to decipher the “external divining system” would seem to be impossible, which means that divine revelation from God is indistinguishable from what one imagines a divine revelation from God to look like, and so divine revelation can be or mean anything for anyone. I don’t know about you, but for me the more miraculous endeavor would be describing the external system by which divine revelation might work, and then creating a testable hypothesis by which we might be able to demonstrate such a thing. Short of this, however, it’s really just anyone’s guess. Victor Stenger actually goes one further and claims God is a failed hypothesis. See Stenger’s books God: The Failed Hypothesis and God and the Folly of Faith: The Incompatibility of Science and Religion. Daniel Kahneman, Thinking, Fast and Slow, pp. 61-62. Whereas Catholics believe God is love, Calvinists believe God is deterministic and have developed a doctrine of predestination to help explain it. Basically, God determines ahead of time (perhaps before time itself), whether you will go to heaven or hell. Antonio Damasio, Self Comes to Mind, locations 166 and 212 Kindle. Sheridan holds that religious indoctrination of minors is a form of child abuse. Randal pulls out a copy of Richard Dawkins’ book A Devil’s Chaplain and quotes from the book in which Dawkins laments the fact that his daughter was being given religious instruction without his knowing about it. As you may know, Richard Dawkins is a strong proponent against the religious indoctrination of children, as he rightly observes that religious indoctrination is little more than telling children what to think and believe, not teaching them how to think critically so that they will be equipped to evaluate their beliefs for themselves when they enter into the age of reason. Sheridan sides with Dawkins as to the argument of whether or not indoctrinating children into religion is a kind of abuse or not, and challenges Randal on the front that any reasonable person would see that coaching children to fear hell, among other questionable beliefs, without being given the option to so much as question these spoon fed beliefs in such a way as to insight stress, mental anguish, or even emotional outbursts in the children, should be considered, at a minimum, mental abuse. I’m going to pause here just to say that, as an educator of children (elementary through junior high school) I can honestly say that teaching any child a fear based doctrine of any sort is most assuredly child abuse when you neglect to teach them to think for themselves perchance they may have the ability to doubt nonsensical teachings such as those depicted in the shocking 2006 documentary Jesus Camp. Such heavy-handed indoctrination is basically religious brainwashing, and it often leads to radical thinking and behavior in those who have been indoctrinated. Also, even if the so-called doctrine is true, even one as pernicious as the notion of infinite punishment and torture for finite crimes (or more accurately “crimes” as arbitrarily defined by the religion) it doesn’t necessarily mean that children are ready to be taught it. We don’t teach children about the intimate details of sexual relationships until they are of a mature age, and I would say the same could probably be said about many religious doctrines, such as the doctrine of Hell (just to cite one example), regardless of whether such doctrines may be true or not. Besides, let’s be honest, Christians don’t typically say that Hell might be real, so make up your own mind. No! Instead they say that Hell is real, so you better believe this way and act accordingly, or else! Now, to an adult who doesn’t believe in such things like heaven or hell, all this might seem rather absurd. But to a child who has not mastered critical thinking skills yet, what choice do they have but to put her trust in their parents, their caretakers, and the authority figures in their life? One of the biggest regrets in my own life, to share a short aside with you, was the time I worked as Christian counselor at a well-known Christian Bible camp where we would often use the tools of emotional blackmail to persuade children to accept Jesus by frightening them with the fear of Hell and, in turn, using their fear of being separated from their loved ones forever (forever!) to compel them to come to Christ. From the Christian perspective, it was always imperative they accept Jesus right away, because we were in the End Times, after all, and without Jesus tucked neatly away in their hearts their immortal souls would be doomed for all eternity! If they wanted to see their loved ones again (in Heaven), we informed, they must accept Jesus—and they must do it now. And many of them did accept Jesus. But not because they truly believed in what we were telling them, but because what we were telling them was so goddamn terrifying that they felt they had no other choice but to believe. This is the design of most Bible camps, mind you, to indoctrinate children who haven’t gotten enough of it from their religious parents or their churches. Looking back now, I view my time as a Bible camp counselor as the shameful act it really is. I partook in a child brainwashing program and I actually rejoiced when I saw the desired outcome of children’s wills being broken and accepting any religious thing I told them. Let me ask you, how sick is that? So, in the end, after weeks of religious over saturation and mental manipulation, the children had done exactly what we wanted them to do. They had broken down and accepted Jesus. A couple of things need to be said here. First, this isn’t teaching the child how to critically evaluate the concept of Hell for themselves, and actually has the opposite effect by teaching them to fear the very notion of Hell so they don’t question it; and secondly, Hell is a fictional place and until an ounce of evidence for Hell’s existence can be brought to light then I’m afraid the only consideration anyone needs to give it doesn’t even amount to one iota. Of course, savvy theologians may stop me here to point out that Hell is meant as more of a metaphor for the absence, or separation if you will, of God. If so, then it’s my opinion that this “metaphor” not in tune with the Biblical description of Hell as being a real place of physical suffering and torment, with fire and chains, wailing, and the gnashing of teeth as describe in Holy Scripture. Then again, even if by the slimmest chance the concept of Hell denotes a real spiritual separation with God, there are many more reasons why we shouldn’t be teaching it to small children. Most of all because small children do not fully comprehend esoteric philosophical concepts in the same way as educated adults do, and at the very least, because it’s an unnecessary burden to be forcing a child to have to wrestle with. As a teacher, I regret instructing the children under my tutelage that Hell was a real thing that they should be concerned about, mainly because it wasn’t really teaching. It was indoctrination. As an educator of children today, looking back on my days as a Christian Indoctrinator of Children (CIC pronounced “Sick”), I realize that I failed to teach them anything of importance, except perhaps an unfortunate life lesson in how to cope with the anxiety of an all too gratuitous summer of Christian Bible camp. As someone who has children and as an educator of children and someone who once was extremely religious, I have to agree with Richard Dawkins that strict religious indoctrination of children is a kind of mental abuse. But instead of going on at length about why I think so, I will direct you to an excellent lecture by Seth Andrews, aka The Thinking Atheist, titled “Get Them While They’re Young” where he details the often outrageous and shocking tactics of religious organizations to indoctrinate children. Although not all religion is bad, many have innately bad elements, and child indoctrination often leads to a type of religious maltreatment of children and frequently ignores children’s rights. For a candid look at the various kinds of religious abuse done to children in the name of religion, see Janet Heimlich’s book Breaking Their Will: Shedding Light on Religious Child Maltreatment. My friend Bruce Gerencser of the blog The Way Forward wrote about how he would defang fundamentalist Xianity in America. His list is not only excellent, it is really insightful, because it shows how much religious theocrats already get away with in America. Close and defund the White House Office of Faith-Based and Neighborhood Partnerships. The government has no business giving tax money to churches. Prohibit tax money from being funneled to private Christian schools via school voucher and school choice programs. An exception could be made for any school that is state licensed and under the purview of the state board of education. Pass a federal homeschooling standard. Forbid schools from teaching creationism. Forbid churches, pastors, and parachurch groups from having access to public school students during school hours. Eliminate the clergy housing allowance. Require churches to file annual IRS forms. Require churches to pay taxes like any other business, including real estate and sales tax. Exception could be made for social and charitable ministries that are secular in nature. Require churches to follow the same zoning laws as any other business. Make sure every public institution adheres to the strict separation of church and state. These eleven things would be a good place to start. The umbilical cord connecting state and church must be completely severed. Will this eliminate Christian fundamentalism? No, but it will reduce the influence it has on government. It is then up to voters to elect leaders that understand, respect, and enforce the separation of church and state. Fundamentalists have every right to worship freely, run for office, and lobby their political leaders. But, there is a line they must not be permitted to cross. Any theocratic ambitions or demands must be rejected and exposed as an attempt to breach the wall of separation between church and state. Until we have a President and a Congress that is willing to stand up to Christian fundamentalists, we can expect continued encroachment by those who have theocratic ambitions. In an article published in the Atlantic, Alan Noble (a Christian no less) writes on The Evangelical Persecution Complex and why it seems to be so prevalent in the U.S. even though their is little to no real persecution of Christians. Outside of the U.S. is an entirely different story. What he has to say is, I think, worth listening to. Traditionally, Christians have had a very broad view of what it means to suffer for Christ—broad enough to include everything from genuine martyrdom to mild ridicule by nonbelievers. Behind this is an essential part of the faith, which says that every Christian will be persecuted by the world: True believers will lose jobs, face exile, and suffer from violence. For many evangelicals, the lack of very public and dramatic persecution could be interpreted as a sign that they just aren’t faithful enough: If they were persecuted, they could be confident they are saved. This creates an incentive to interpret personal experiences and news events as signs of oppression, which are ostensibly validations of our commitment to Christ. The danger of this view is that believers can come to see victimhood as an essential part of their identity. Tensions between Christians and non-Christians are likely to grow in the coming years as cultural mores shift, and out of this tension will come negotiations, dialogue, lawsuits, ignorance, and conflict. For evangelicals, preparation for this must begin in our own house, as we learn to better discern good theologies of suffering, edifying stories of persecution, and distorted reports of discrimination. Ignosticism is the philosophical position that most descriptions and definitions of God are incoherent, incomplete, discrepant, or contradictory (if not all of the above) and so cannot be discussed meaningfully. What this means is that asking questions about God, or ruminating on the nature of God, or talking about us in relation to God are all probably meaningless because we cannot know what God is like because we cannot adequately describe God. If we are all talking about dissimilar things it becomes increasingly difficult to pin-point an accurate discription for the term “God,” and so we need something additional to clue us in as to which, if any, of the descriptions are accurate or reliable. Acquiring such a description would then yeild a reliable definition for believers to point to when they invoke the term “God.” The ignostic challenges the underlying semantics behind the definition of “God” as being valid, saying we cannot know with any certainty whether any description is accurate (because we have no evidence to check the description against) and therefore holds that most (maybe even all) descriptions of God are invalid. This challenge can be summed up nicely by the ignostic question: What do you mean by “God”? 1. There are numerous competing descriptions of God. 2. These descriptions sometimes overlap, but are mostly divergent or else in direct conflict with one another, while others completely negate each other (let’s call this the problem of dissimilarity). 3. Due to the personal nature of each religion and individual's unique understanding of God, every description of God will always be relative to the person and their particular brand of faith (the problem of confirmation bias). 4. 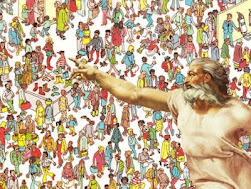 Descriptions of God being relative to the individual, biased by doctrinal prejudices, give rise to even greater nuances between otherwise similar definitions of God whereby the given definition comports with religious theological premises/templates but not any tangible or testable object which could give rise to a verifiable description of said object (the problem of subjectivity). 5. The Ignostic therefore takes the position that due to a problem of dissimilarity in descriptions of God, nearly all definitions which make up the concept of God are rendered incoherent by the fact that virtually all descriptions fail to describe what they are purportedly meant to give description to (the referential problem). 6. Therefor no agreed upon description of the term "God" can be assigned which has any meaning in the way a description of a term would need to in order for it to be meaningful (the justification problem). I think those who pause to think about the consequences of Ignosticism will realize it poses a rather substantial problem for theists, deists, and polytheists. Although Ignosticism doesn’t necessarily disprove the existence of any God or gods, it does show that the descriptions provided and the definitions of any particular god do not comport to any coherent understanding of the supposed object these terms are supposed to help define in the first place. Again, ignosticism’s goal isn’t to disprove God, per say. It merely demonstrates that the descriptions and definitions we use cannot have any agreed upon meaning with respect to what the term “God” is supposed to describe, and this problem is compounded by the fact that all religions/individuals continue to construct their own understanding of God relative to their pre-existing religious and cultural experiences as well as personal disposition. As a consequence of every definition of God being relative to personal experience, it becomes overly difficult to access which, if any, experience is a real, genuine, experience and which are not. As such, more and more competing definitions of God arise from this practice of define God relative to subjective experience rather than seeking to identify any tangible thing like a god to describe via observation (either directly or indirectly). An interesting consequence of ignosticism is that it demonstrates that valid descriptions matter and that those who believe in a God, or anything like a god, must come to agreement with what they are purporting to describe. That is, the description has to be more than a conceptualization of what the religious individual would like God to be, rather any description provided must describe what God is (should God actually exist). This challenge must be met in order to bypass the problem of dissimilarity, and a referent (the thing itself, in this case God) must be established so that the definition of God is accurately illustrated by the accompanying description of said referent (the thing itself). Subsequently, having an actual referent for the object in question, all definitions of God should, in principle, converge. That is, everyone could come to agreement about what God is, and their descriptions would align thus giving way to matching definitions—regarldess of what their personal experience of this God might be. Without any agreement about what it is a religious believer means by the definition of “God,” however, all one has is a subjective conceptualization dervied from personal, subjective experience and it is impossible to understand what it is meant when one asks the question “Does God exist?” or makes the statement “I believe in God” since the term “God” could possibly mean anything. The ignostic, in order to be truly satisfied, must know, “What do you mean by God?” Otherwise, the ignostic holds that all you have suggested by “God” is a thing of your own imagining and not the thing itself. Of course, many religious adherents are prone to dismiss competing definitions offhand because they don't respect opposing points of view or have more dogmatic religious reasons for ignoring competing religious claims. But even so, the dismissal of competing claims doesn't do away with the problem of dissimilarity, because one still must justify their description and definition of God before they can claim they believe in said description and definition as an accurate representation of said God. As such, the problem of ignosticism can be easily solved if theists, and believers, would simply engage with other competing definitions of God. Failing to do so would equate to failing to justify one's own terms, and as such whatever definition the believer chooses to use to describe “God” would ever be only a empty term which carried no meaning in a discussion about God because, all things considered, we still don’t know what it is we are talking about when we talk about God.